What could be better than celebrating the most sacred of ceremonies with the one you love most? Doing it all without breaking the bank, of course! Make no mistake, weddings are expensive, and can put you in a position where you’ll be paying back thousands for years to come. This is certainly no way to start off your new life together, and not the best reflection of how great your marriage will be. So how can you have the wedding of your dreams without all the debt? Well, it all comes down to your priorities. Perhaps the most important thing of all—and certainly the first place you should start—is establishing a budget. To do this, it’s essential to understand where this money is coming from. According to a 2017 study by The Knot, the average wedding in the US costs $33,391. Needless to say, this will require quite the personal investment. If you’re fortunate enough to be receiving financial assistance from family or (an MVP-caliber) friend, try to get hard numbers committed so you know what to expect when you set up your budget. Next, figure out how much you and your spouse-to-be have in combined savings, including how much you expect to have by the time of your wedding. For those with a typical engagement term of 12 to 18 months, you should be setting aside at least 10% of every paycheck to a separate wedding savings fund. The easiest way to do this is to set up an automatic transfer from your checking to your savings account every time you get paid—or, to make it even easier, get a mobile banking app to do it for you. Getting married sooner? You might need to up how much you’ll be saving each month. We can’t all be the Duchess of Sussex, but you can certainly throw a wedding like one—that is, if you have your priorities right! It’s all about knowing when to splurge and when to cut back. With your budget worked out, you should now have a good idea as to how much money you have at your disposal. Once you’re in the midst of wedding planning, you’ll find a lot of things much more worth their investment than others. Take a wedding planner, for instance. While wedding planning can be fun and exciting, it can also be downright stressful. This will likely be the largest party you’ve ever set out to host, and your mind will take great comfort in knowing it’s being planned by a professional. After all, giving you the ceremony of your dreams is what a wedding planner is paid to do! As the bride of a wedding, you’ll be taking center stage on the altar. That means all eyes will be on you, and every picture taken and memory created will last a lifetime! While this might sound scary at first, you’ll feel confident knowing you look better than ever. How can you do this? With the perfect wedding dress, of course—and it can be more affordable than you think. Each wedding dress by Bari Jay is made in 3 lengths and now features stretch crepe fabric to give you the perfect fit, no matter your figure. This will end up saving you money on alterations, and multiple trips to a bridal salon. View our bridal dress collection here! With a little research, you’ll find there’s a cheaper way to do almost anything. One of the places you can save the most money is by carefully selecting which wedding venue you’ll book and what date you set your wedding for. It’s no secret that a wedding venue is a big ticket item—it’ll probably be the biggest. After all, it’ll be where most festivities take place and accommodate dozens of people. But here’s the good news: your dream wedding venue might be well within financial reach, as long as you’re comfortable with having your wedding during an off-peak month. When is off-peak exactly? Well, it depends. For most areas in the U.S., off-peak months range from late fall to early spring. That’s because most couples prefer to hold their wedding when the weather is more moderate and the flowers are blooming. Check with your local venues about peak seasons for them. It may vary according to the climate. By going the off-peak route in your area, you’ll be saving thousands! Another great way to save money is by trimming the guest list. Believe it or not, couples spend an average of $268 per guest! To make matters worse, most guest lists comprise over 100 people—that’s tens of thousands of dollars just for your guests! With prices skyrocketing each year, it’s no surprise why weddings are getting smaller and smaller. Fewer guests will also make your wedding a more intimate experience between your closest friends and family, and will require less to be spent on invitations, catering, transportation, and so on. In the end, you’ll feel happier knowing your strategically planned wedding was a success, and that you and your spouse have resources remaining for your wonderful life ahead! 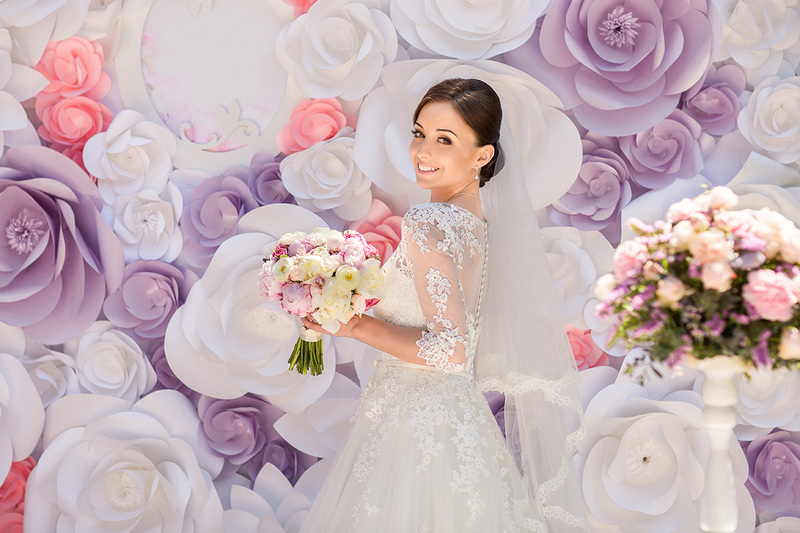 Get more tips and inspiration for your big day on our blog!